View of the United Protestant Branch of the Council of Churches. The first service was conducted on December 24, 1944, though the church was formally dedicated on January 6, 1945. The current structure, Central United Protestant Church, is located in its original position on 1124 Stevens Drive in Richland, WA. 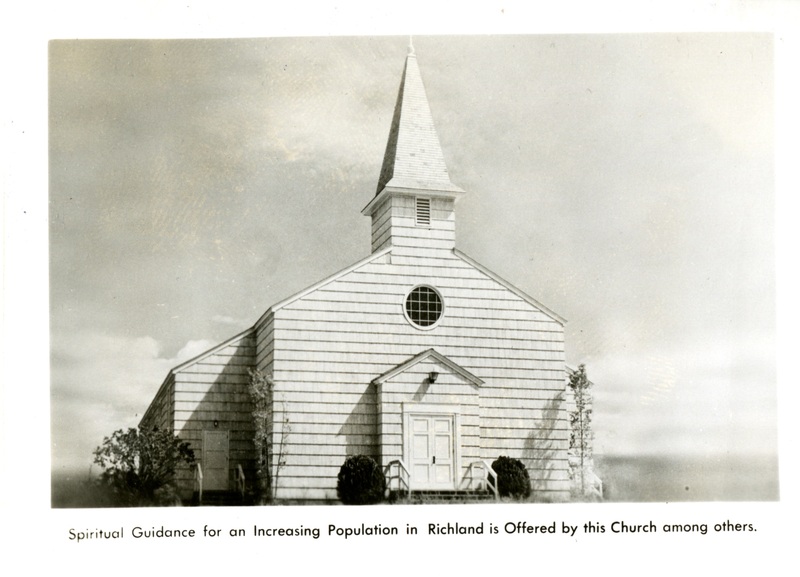 Noted in caption, "Spiritual guidance for an increasing population in Richland is offered by this church among others." 1 photo: Black and white, 6.5 cm x 9cm. 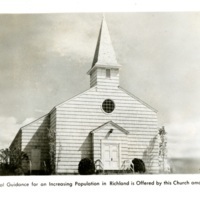 Charles McVey, “Richland Church,” Hanford History Project, accessed April 22, 2019, http://www.hanfordhistory.com/items/show/215.